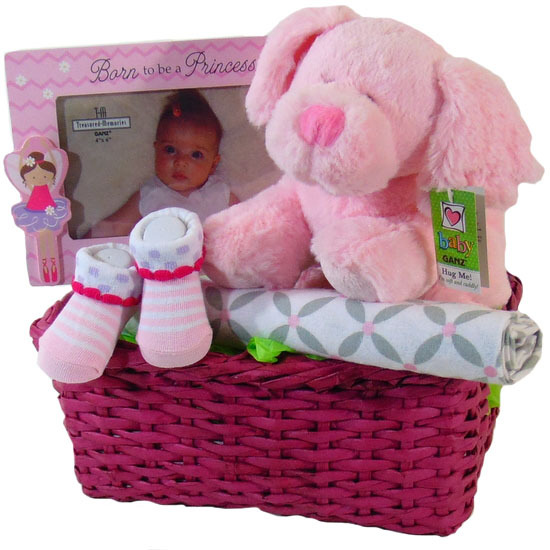 Pink Fluffy Puppy baby girl gift basket filled with pink cute new baby items to welcome and celebrate the arrival of the newborn to the world. Baby girl basket gift. Pink Fluffy Puppy baby gift basket. Pink square wicker basket with two handles. Baby girl basket gift. Pink fluffy puppy stuffed animal siting inside the basket. Also, the baby gift basket comes with baby blanket. 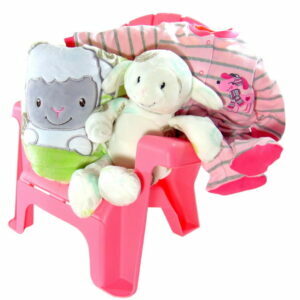 Pink baby picture frame and tinny baby socks all wrapped up inside this pink baby basket. 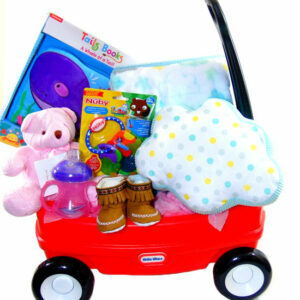 Pink Fluffy Puppy gift basket is a great baby pink hamper gift also a good baby shower gift. 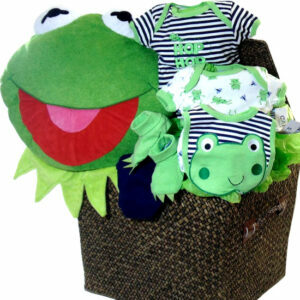 All gift baskets can be delivered to door steps of the newborn and her parents home and to Toronto hospitals.